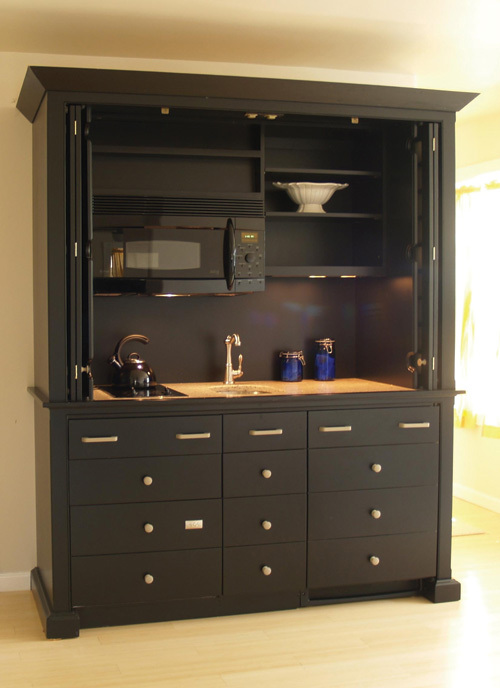 How much easier would life be if you could hide away a kosher-for-Passover kitchen until you needed it? No worries that hametz had snuck into crevices, because it’s only used eight days a year. 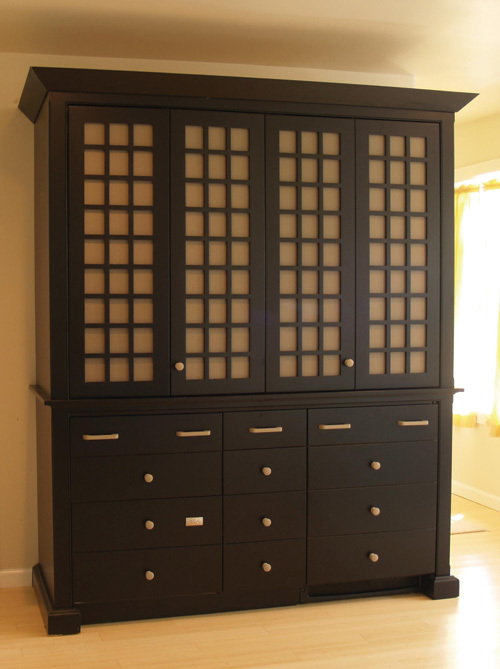 It could be kept anywhere in your house, looking like a beautiful armoire. This is just one of the options made possible by David Beer, designer of Yestertec Mini-Kitchens (www.yestertec.com). Beer has devised what he calls “kitchen workstation furniture [right],” incorporating all the kitchen elements a client could want—refrigerator, oven, dishwasher, etc.—and concealing them behind high-quality custom cabinetry. An Israeli start-up company is at the forefront of social media, and Hollywood celebrities are impressed. Leonardo DiCaprio, David Arquette and Paris Hilton became members with personal channels on Mobli (www.mobli.com), a Web site where users share videos from their mobile devices. The application and Web site have been available since last May on the iPhone, gaining 10,000 new users daily, and is now available for Android smartphones and BlackBerrys. “We are one step closer to fulfilling our vision of allowing you to see anything worth seeing, in real-time…from every corner of the globe,” said Moshe Hogeg, Mobli’s founder and CEO. Mobli completed a star-studded funding round of $4 million last October led by DiCaprio and other private investors. DiCaprio has an advisory position at Mobli, where viewers can access videos from his foundation, which raises money and awareness for environmental sustainability. Beyond the prescribed four glasses of wine, what liquor options are there for Passover? Since 2009, there has been Moses Vodka. Made in Finland, Moses is one of few kosher-for-Passover vodkas available anywhere. The spirit is distilled from organic sugarcane, sourced European well water and inverted sugar syrup; it is certified kosher for Passover all year round and is made by Global Drinks Finland. New this year is a date-flavored vodka, a first in its line of vodkas corresponding to the seven species. Next up will be pomegranate. Perhaps even better than the drink—which is considered super premium and has won awards at multiple tasting competitions around the world—the vodka (www.mosesvodka.com) comes in a stunning bottle with 24-carat-gold and platinum accents. An image of Moses parting the Red Sea is surrounded by two pomegranate trees—in gold—their lacy roots exposed and their branches forming a canopy over Moses’ head. Jerusalem.’ Photo courtesy of Sotheby’s. sales at Sotheby’s annual “Important Judaica” and “Israeli and International Art” auctions on December 14, 2011, in New York. 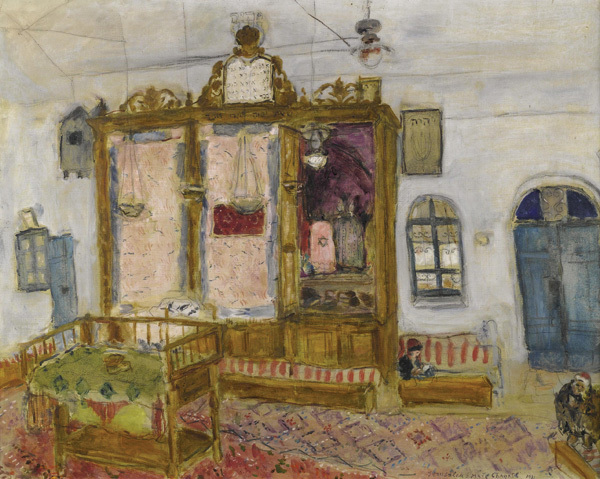 Chagall painted the wintry Interior of the Ashkenazi Ha’Ari Synagogue, Safed and the opulent Interior of the Yemenite Ha’Goral Synagogue, Jerusalem in 1931 during his first, eye-opening visit to Israel; he was to return there many times. He made the third painting, Synagogue in Vilna, the “Kloyz” of the Vilna Gaon, in 1935. Its focal point is probably the only existing image of the magnificent Ark of this synagogue, which was destroyed in the Holocaust. Gabo Wilson lost 109 family members in the 1994 genocide in Rwanda that claimed almost a million lives. His testimony will now be included in the archives of the University of Southern California Shoah Foundation Institute for Visual History and Education (http://dornsife.usc.edu/vhi), originally established by Steven Spielberg and, until now, exclusively devoted to recording the memories of Holocaust survivors. Several Rwandan survivors are being trained in taking testimony and archiving; they will return to Rwanda and interview at least 1,000 survivors, whose testimony will be added to the foundation’s archives. Plans are being made to add testimonies about the mass killings in Armenia and Cambodia, and perhaps those in Sudan. Michigan artist Gail Rosenbloom Kaplan has given the term “yadayadayada” a sacred purpose. She calls her project to craft Torah pointers—yads—what else? YadaYadaYad. In the past seven years, she has guided over 3,500 bar and bat mitzva students to design their own pointers from beads, nuts, bolts, metal rods and fittings. Adding the value of hiddur mitzva (beautifying the commandment) by creating something of their own enhances the Jewish experience for students. Thirteen designs are available in do-it-yourself kits from her Web site, www.yadayadayad.com. Rosenbloom Kaplan encourages kids to choose beads that reflect who they are and what they like. YadaYadaYad also mirrors Rosenbloom Kaplan’s own personality. She has made industrial materials her palette (her husband owns a hardware store), she loves puzzles and, though she doesn’t read Torah herself, enjoys the beauty of Hebrew letters. —R.M.